Departing at 7:15 am from the hotel Massimo D’Azeglio by a deluxe coach, you will arrive in Assisi, where you can explore this tiny town, surrounded by walls built in the middle ages, at your own leisure. Make time to visit the basilica of St. Francis, where you will see masterpieces by Giotto and Ciambue, and to have lunch (not included). 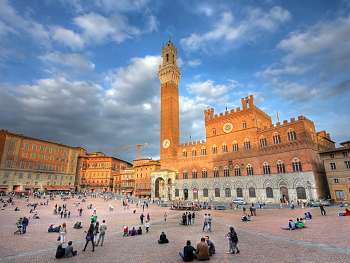 Board the bus for Siena, a medieval town surrounded by ancient walls that is known for the Palio, an annual summertime horse race around the shell-shaped town square, Piazza del Campo. 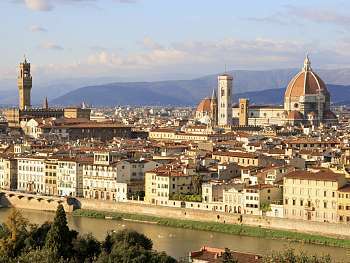 Next, you will continue on to Florence, where you will check in to your hotel before enjoying dinner and a wellearned night of rest. 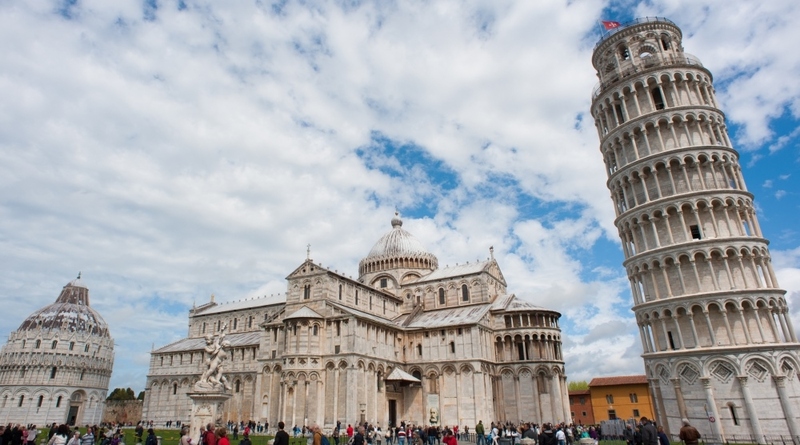 Once you eat breakfast, depart from Piazzale Roma to Tuscany, known for its romantic churches and castles and its delicious wines. You will proceed to val di chiana with a stop in Montepulciano, a medieval town rich with history and art. 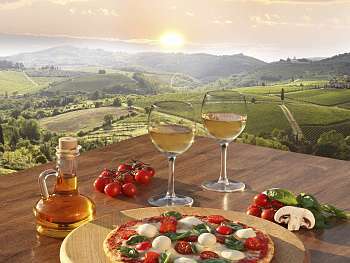 Known for its “nobile” wine, which can be purchased in wine houses in town, Montepulciano is also the host of an annual jazz and wine festival every July. Spend the afternoon getting to know Montepulciano at your own pace, free wine tasting in many shops and free time for shopping. In the evening, you will arrive in Rome, where the tour will conclude. Tour operated in English and Spanish from Nov-Mar. Guided tour to the magnificent Miracle Square with its remarkable Leaning Tower( exterior ), the Baptistry ( interior ) , the Cathedral ( interior ) built in memory of S. John Ranieri patron saint of the city, and an impressive example of pisan-romanic art decorated all over with white marble from Massa Carrara. 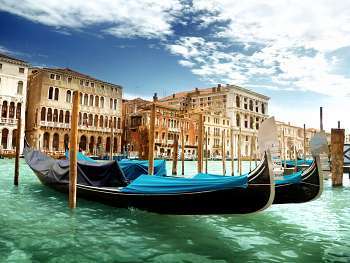 TUESDAY - Venice – Gondola ride – Lasting time 35min. A tipical way of tasting the city by riding along its canals with friendsand two venecian musicians singing and playing the accordion. Each gondola is for six people. The tour ends at the departure point.